There were cheers of joy around the UK today as plane loads of stranded passengers touched down at airports across the country as flight restric tions were finally lifted. Families enjoyed an emotional reunion with hugs and tears when they saw loved ones coming through the international arrival doors. It wasn’t just passengers who were relieved to be home after volcanic ash fears eased; Virgin air stewardess Marina Lower was reunited with young daughters Cadey and Kendra having been without them for more than a week. Another family, interviewed by the Birmingham Post, had just completed their four-day ferry journey to New Orleans after having to cancel flights and removals services for their big home move abroad – which ended up costing them an extra £2,500. 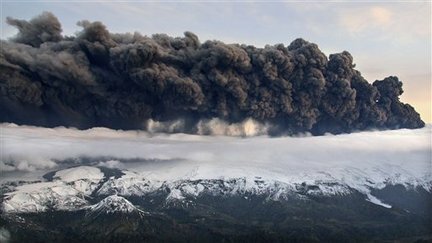 Hundreds of thousands of people have had travel plans disrupted by the cloud of volcanic ash that is continuing to close airspace in some parts of Northern Europe – and there are fears that a second cloud is heading towards the UK.